Light Boxes & Cabinet Signs — Cal Signs Inc. Illuminate your brand and location, day and night, using lighted cabinet signs. Also commonly called “wall” or “box” signs, cabinet signs are a traditional form of illuminated signage. Cabinet signs do not always have to be in squares. Cabinet signs allow for an effective way of utilizing large copy area and eye-popping graphics. Strong and durable, our cabinet signs can be used when small letter size or graphical elements make the use of individual channel letters impractical. Depending on the complexity of each individual cabinet, our cabinet signs can be made to fit anyone's budget. 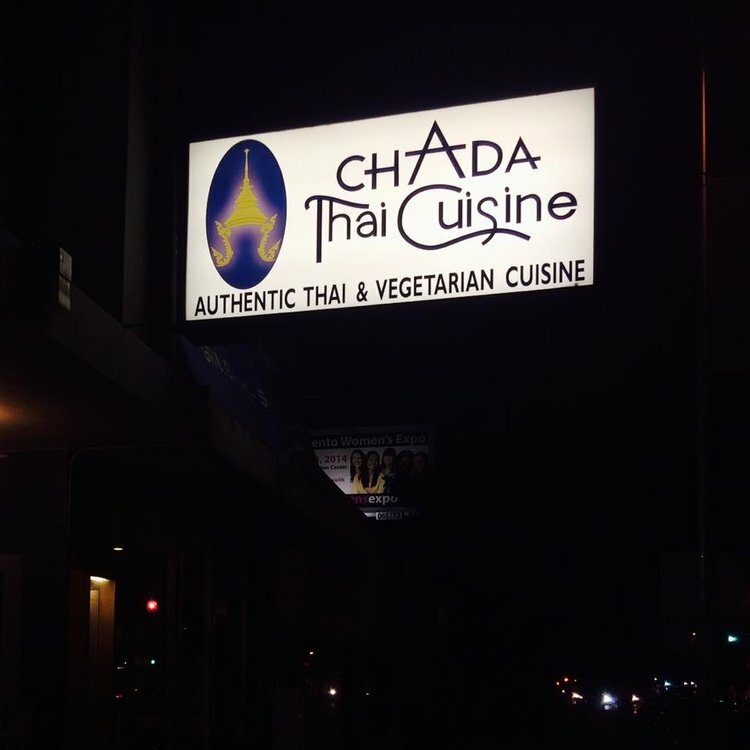 Illuminated custom light box made for Chada Thai Cuisine! Located 1624 Broadway Sacramento, CA 95818 Land Park.